Aquanet INOX are self-cleaning screen filters, suitable for the treatment of fluids containing suspended solids, also of colloidal nature. 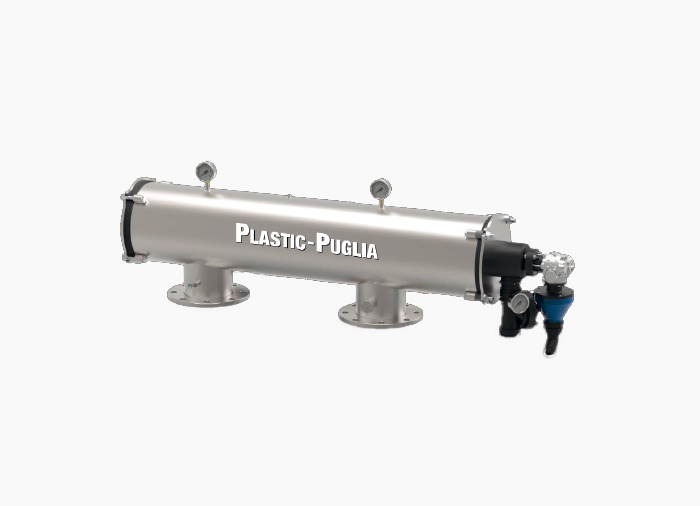 The special suction pads guarantee an efficient cleaning of the filtering element with reduced water consumption and without flow interruption. Depending on the installation requirements, it is possible to choose between two different constructive configurations: vertical and horizontal system model. The internal cartridge is available with a polyester filter fabric (PES) enclosed in "Sandwich" match between two AISI 316 stainless steel supports, or, completely stainless steel AISI 316 or full steel triple layered REPS version. These solutions offer a filtering range ranging from 80 to 200 mesh. 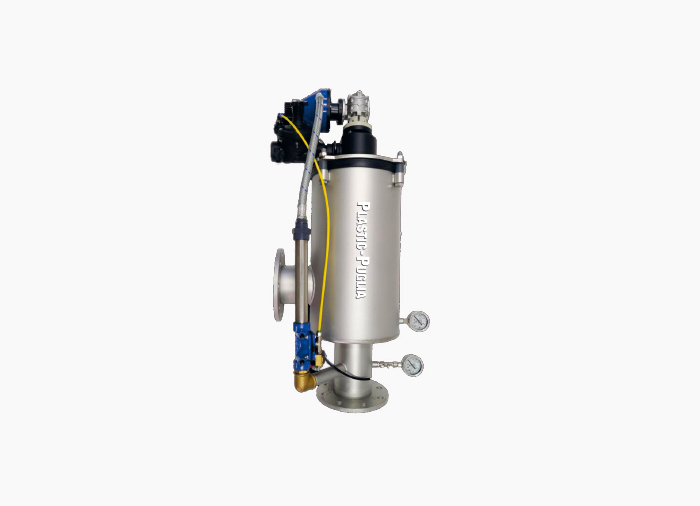 The filters are supplied ready for use with pressure gauges, hydraulic drain valve, differential pressure switch and Filtron 1/1 O or Idrocontrol electronic control unit. 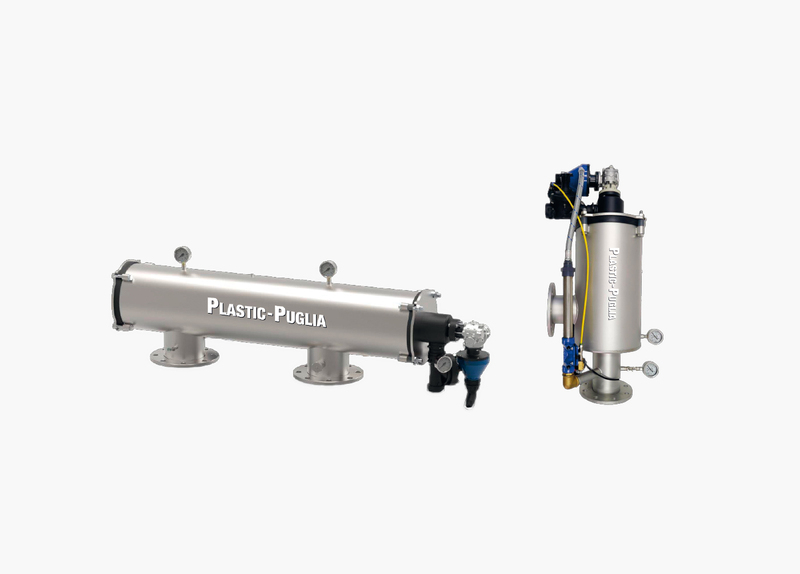 Purge:Plastic hydraulic valve 1 ½ "